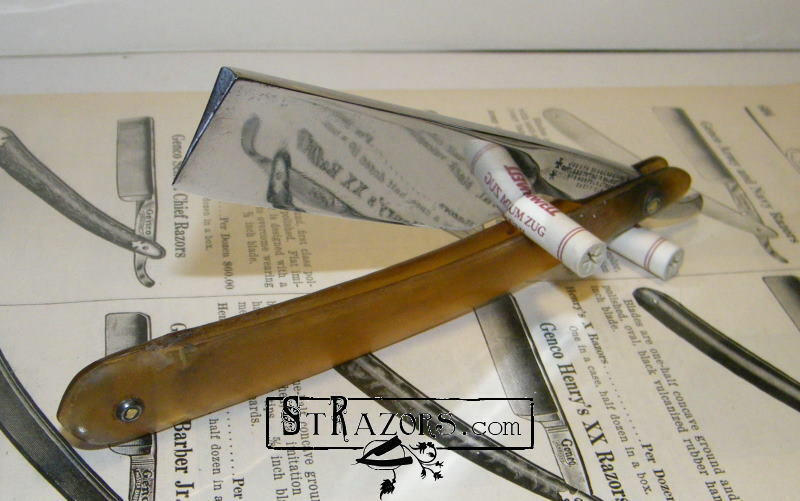 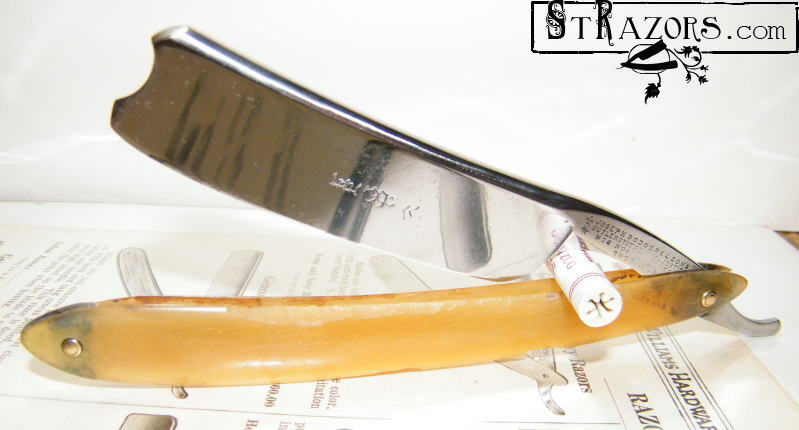 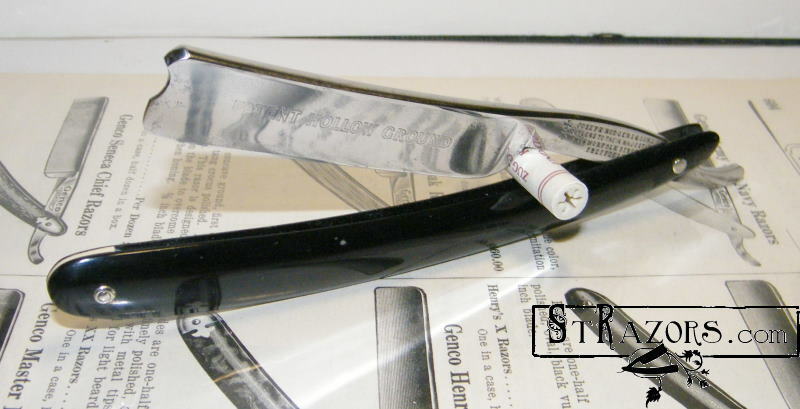 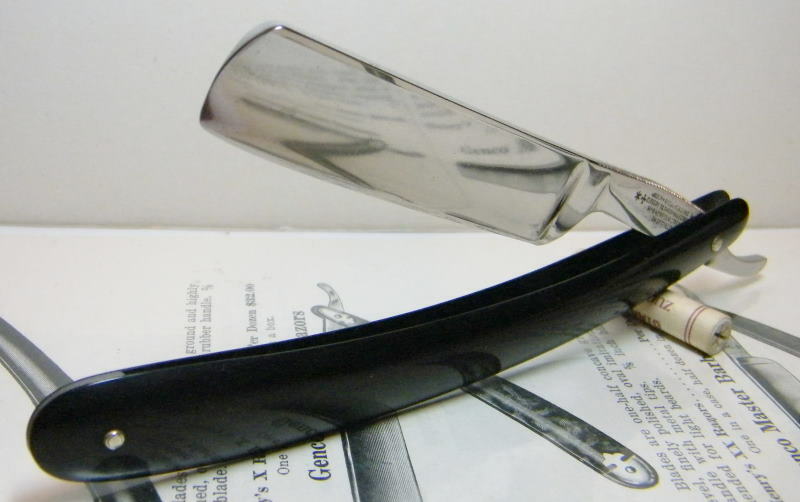 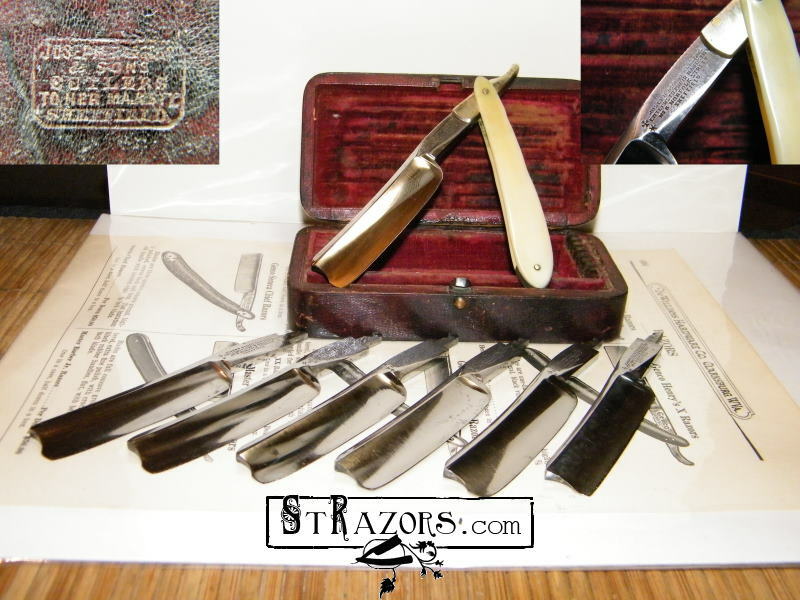 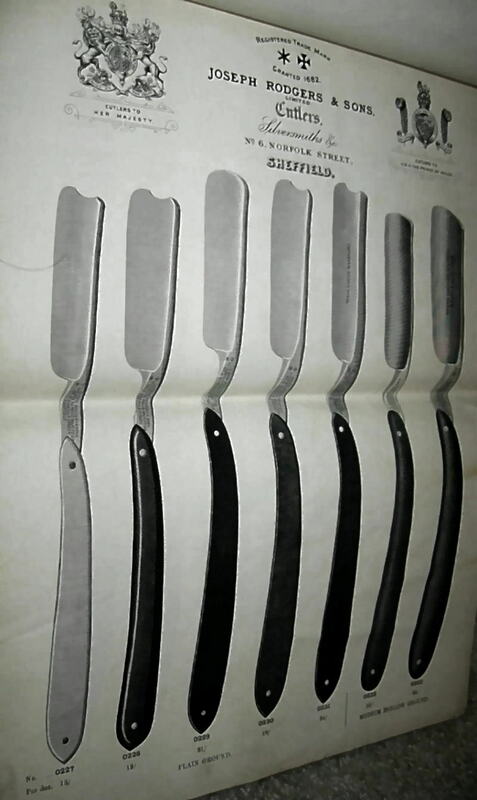 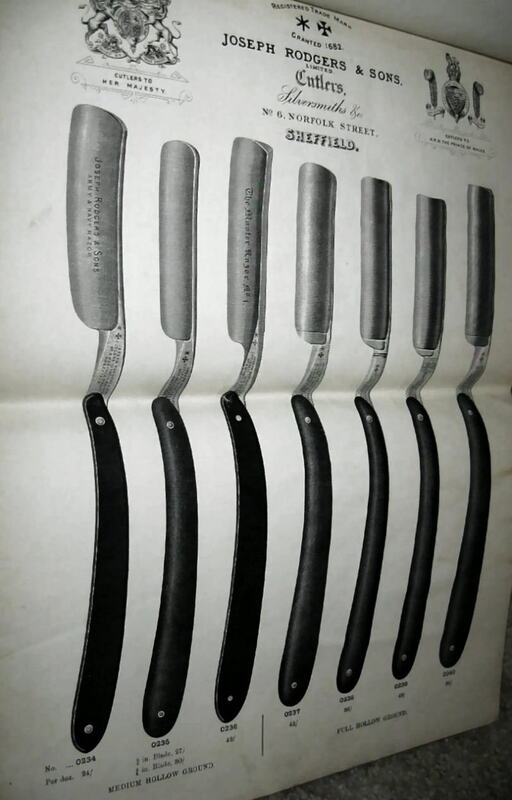 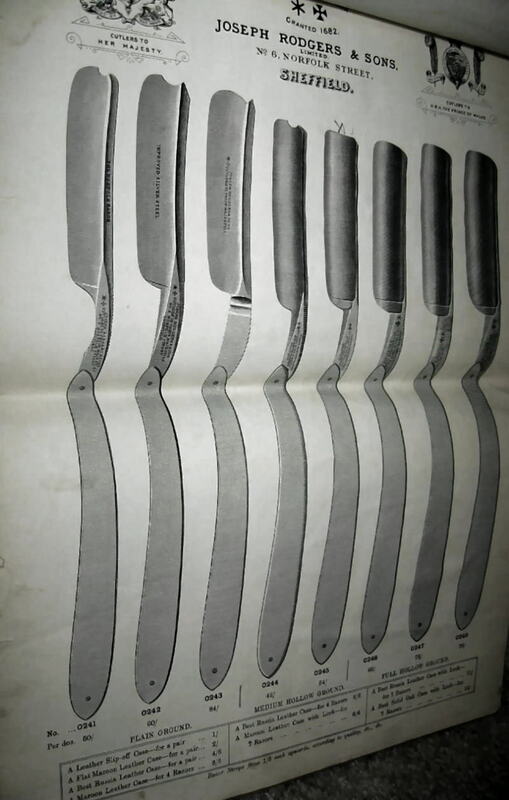 STRAZORS.com - all about classic razors - Joseph Rodgers & Sons, Sheffield. 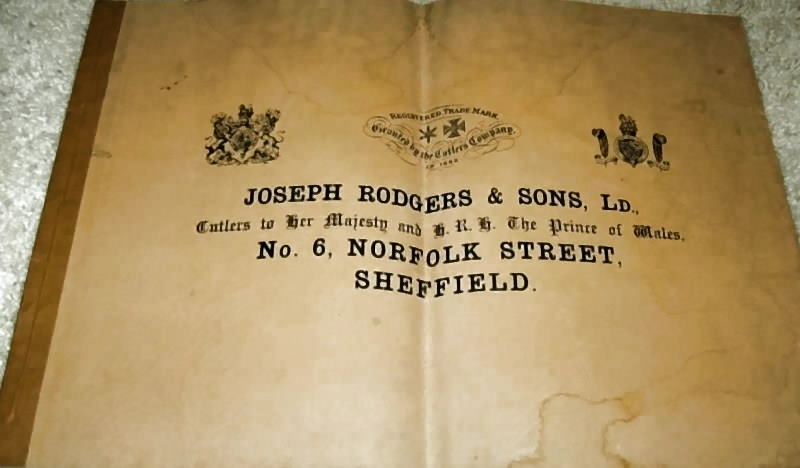 Joseph Rodgers & Sons, Sheffield. 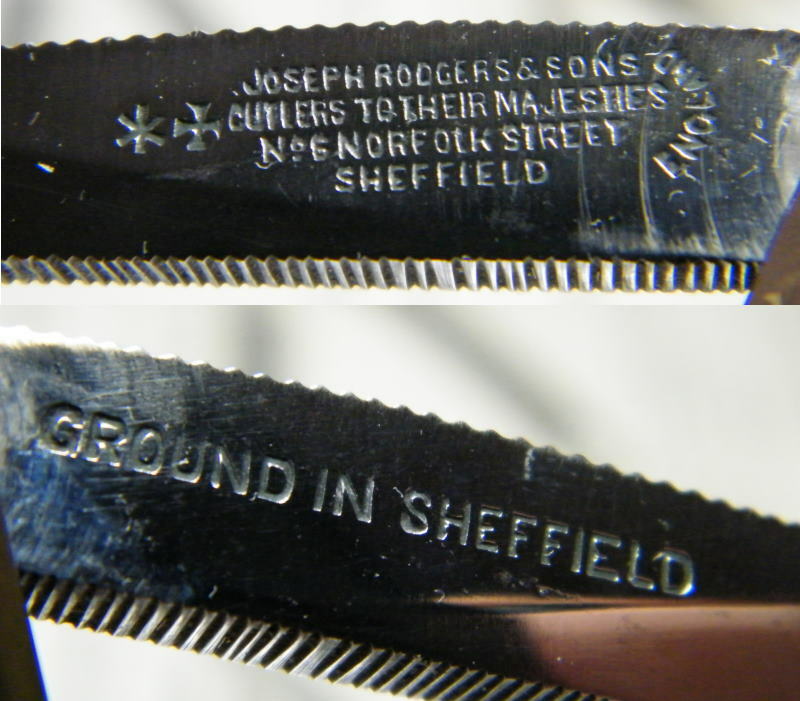 The company existed 1682-1975 in Sheffield. 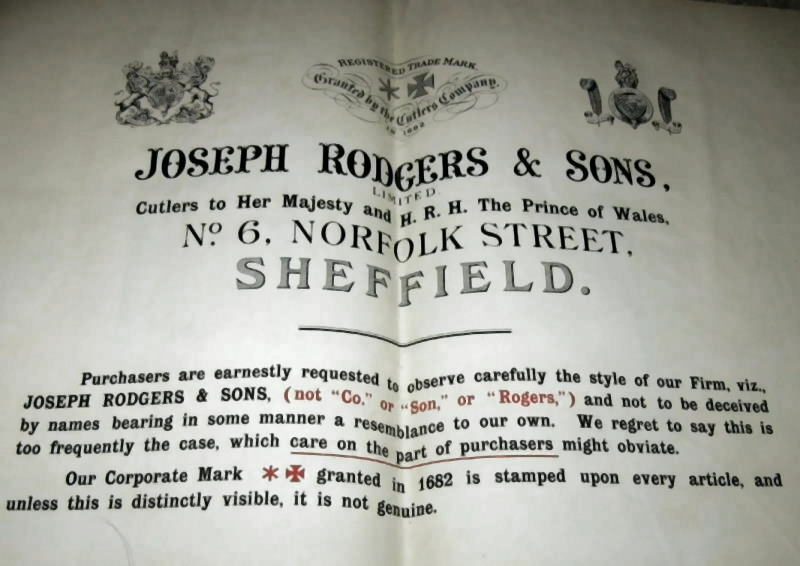 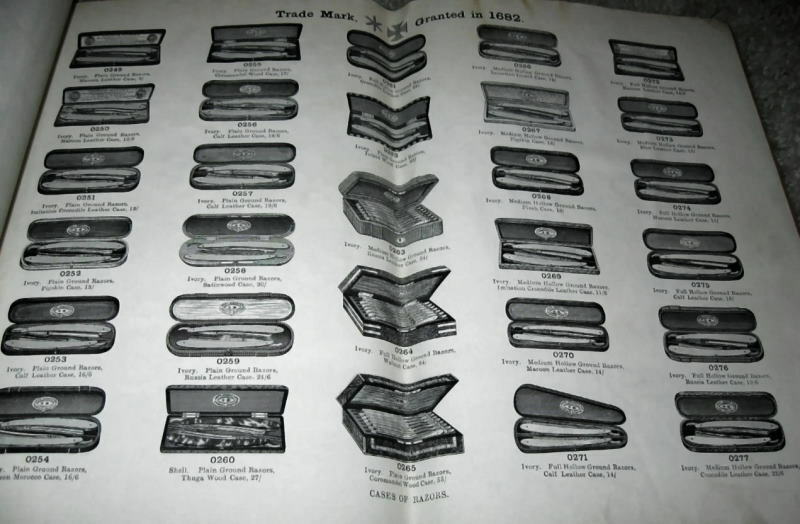 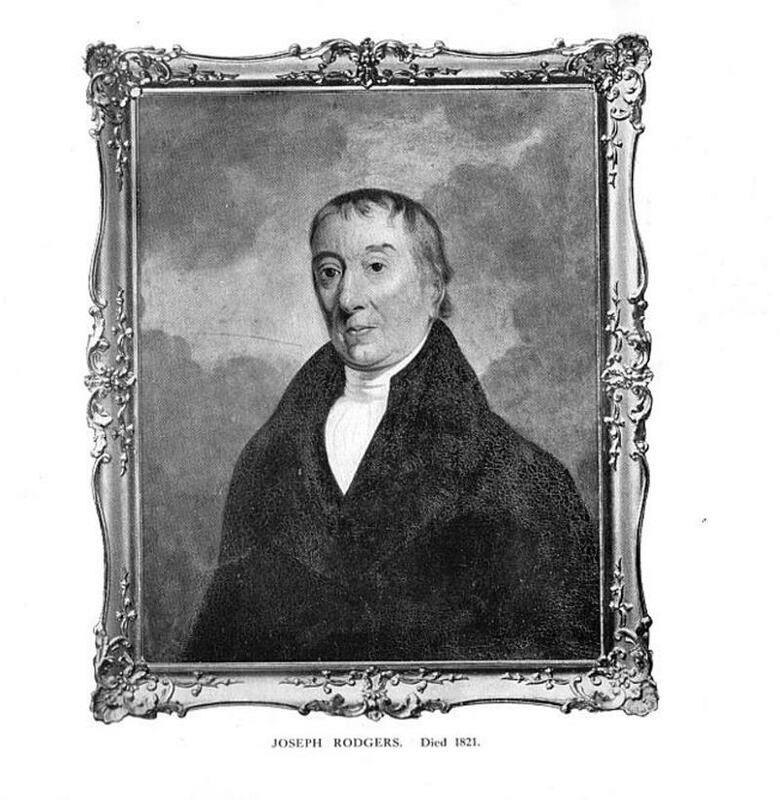 The History of Joseph Rodgers and Sons. 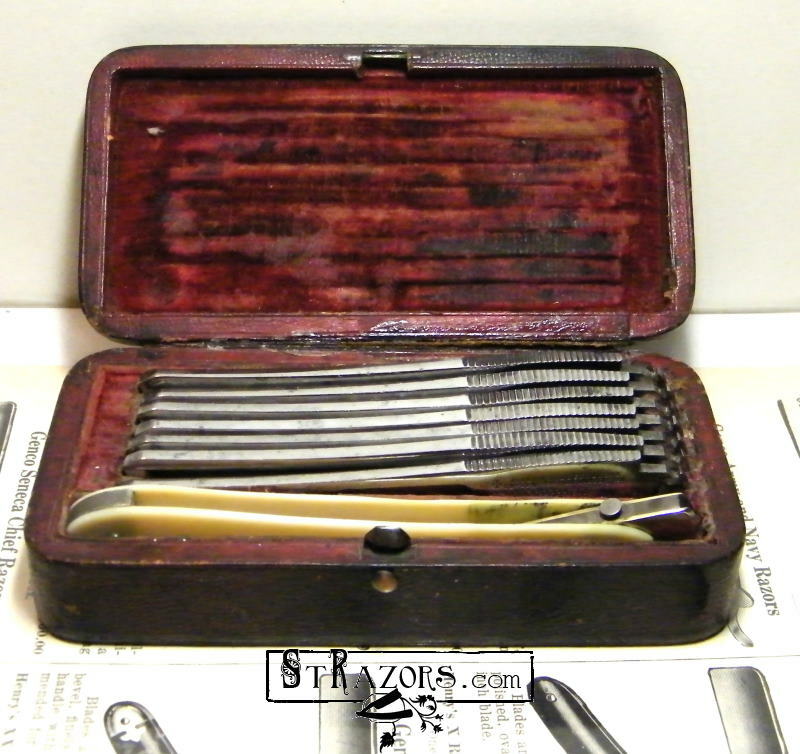 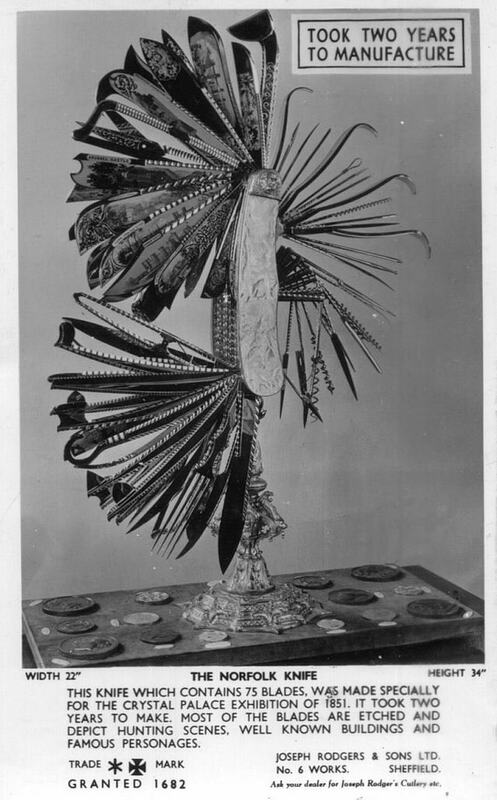 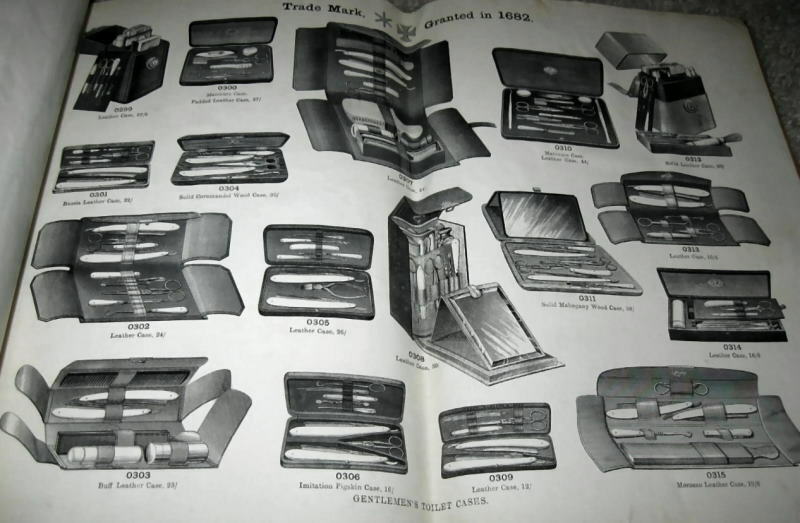 And what interestingly, on the tangs "Cutlers To Their Majesties", on the other side of the box "Cutlers to Her Majesty"
This pre-1840 seven day set has just one handle and seven wedge blades. 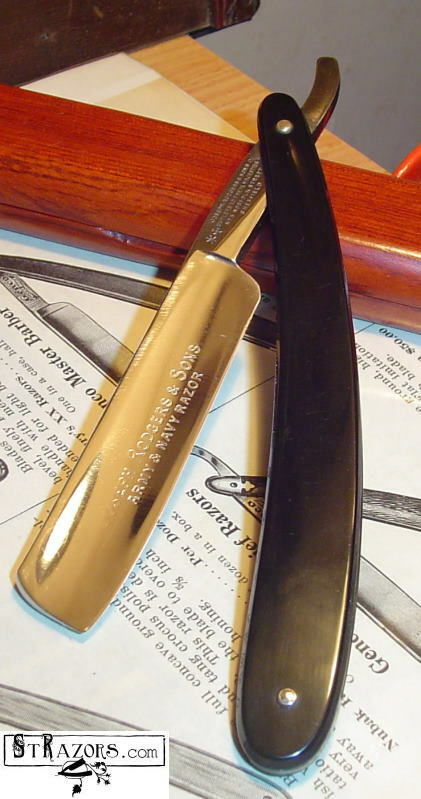 The handle is ivory, with brass hardware.